In a world of FB Stories, Snapchat Filters, and IG TV, it could look like 2019 is the end for Facebook marketing — but that’s far from the case. According to the social media scheduling tool, Buffer (which we use for scheduling and analytics! ), 93.7 percent of businesses use and are currently active on Facebook — this is more than any other social media network (Twitter and Instagram are next at 84.4% and 80.9%, respectively)! Of the top 500 posts on Facebook last year, 81% were videos! Great, so what do you do with this knowledge? Consider adding video to your social media strategy not just your corporate website. Consider a more person-forward, storytelling style of video. At GK Visual, our goal is to incorporate art, emotion, and storytelling into everything we produce. Don’t post a link! 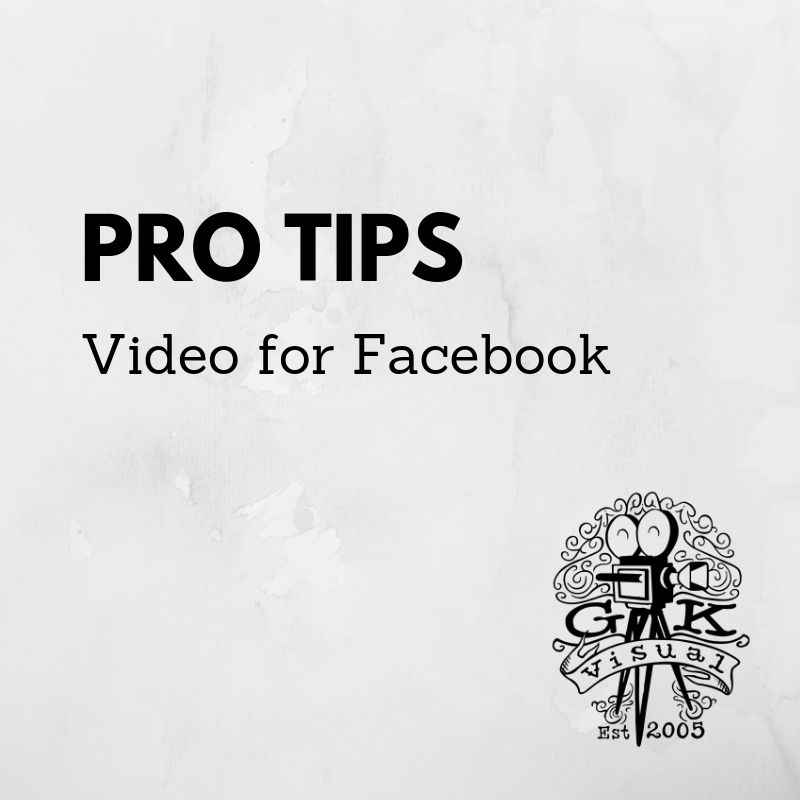 Download your video from Vimeo and upload it to Facebook. Add a title so people know what they’re watching. Add relevant tags to increase your reach. Consider “boosting” your post and investing in sharing your story with a broader audience. Looking for a new way to tell your company’s stories? Contact info@gkvisual.com. We would love the opportunity to help share your story.